For the bulk of his career, JaVale McGee was mostly viewed as a young center with tremendous potential. He was seen as a unique physical specimen who just needed to be pointed in the right direction. People noticed the combination of his height of 7," his 7'6" wingspan and 32" vertical leap and felt that left him plenty of room to become a standout player in the NBA. He was already a stout shot-blocker who was very active catching balls around the rim for slams. Even with all he brought to the table, his low basketball IQ was always evident. This season, however, his lack of understanding at times seemed to have been on display more than ever. The first few months of the season featured a series of boneheaded, laughable plays. They included things like blatant goaltends and unnecessary, irresponsible dunk attempts. His comedic highlights made him a regular on TNT's "Shaqtin' a Fool." Playing in such a dysfunctional situation with the Washington Wizards appeared to finally take a brutal toll on his development. Being surrounded by a cast of other players with knuckle-headed tendencies, as well as coaches who didn't hold them accountable for various incidents, didn't help his case. 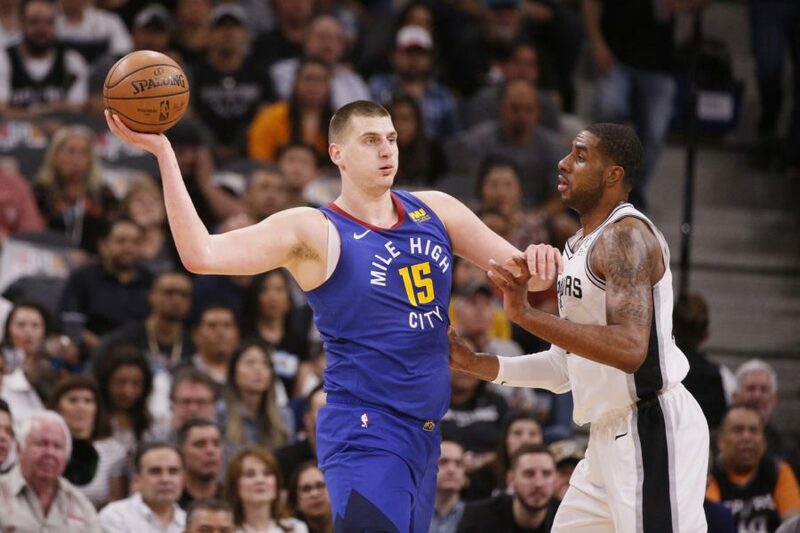 The trade that sent him to the Denver Nuggets on March 15 was one of the best things that could have happened to his career. He landed under the presence of Coach George Karl, someone who has been known to get the best out of immature players. He has brought the 24-year-old along slowly and did not throw him into the starting lineup right away or give him heavy minutes. But just being around an astute and experienced basketball mind for a change is a plus for the still wet-behind-the-ears center. 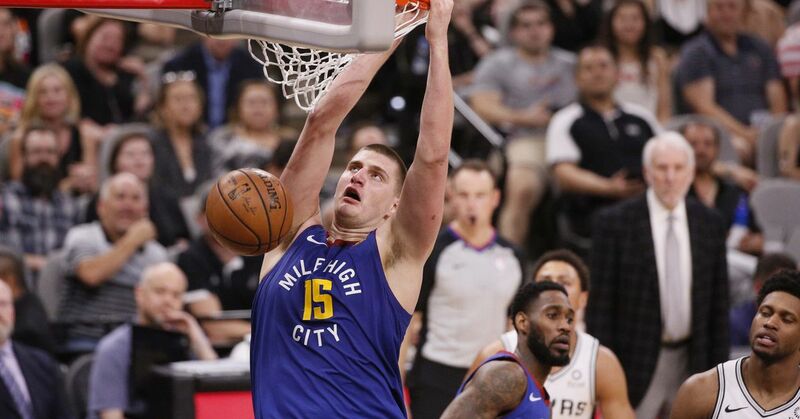 The positive impact is finally showing in the Nuggets' first round series against the Los Angeles Lakers. The series got off to a rough start for McGee as he still looked his classic clueless and inexperienced self in the first two games that resulted in losses. Things turned around in Game 3 as McGee contributed heavily to Denver's first win of the series. He posted 16 points, 15 rebounds and three blocks in 28 minutes. He became a bigger factor in Denver's Game 5 victory by adding 21 points, 14 rebounds and two blocks in 32 minutes. In those two efforts, McGee has been extremely active and alert on both ends. He's hustled to rebound, block shots and get down the court. Most importantly, he has had focus and was tuned into the games. His high energy mixed with a locked-in approach is where he has had the edge against his counterpart, Andrew Bynum. While Bynum is the more established player, McGee has gotten the best of him occasionally due to his superior speed and athleticism. Not to mention Bynum's recent display of immaturity himself. Being around the ultra-savvy veteran Andre Miller has benefited McGee as well. Miller has built his 13-year career off basketball smarts and craftiness and is the type of professional McGee has never been around. The two have played a lot of minutes together coming off the bench for the Nuggets. The under-the-radar point guard has done wonders in directing McGee on the floor with his great leadership and passing skills. He instructs McGee to get in position and delivers the ball right where he needs it to produce, whether it be a lob or a drop in pass. In a span of just a few months, McGee has gone from a gag-reel MVP, to a vital contributor on one of basketball's biggest stages. His physical abilities and talent makes that jump seem possible. But it's his brain-dead awareness that makes the transition slightly stunning. All he needs is continued guidance and discipline and he will continue to flourish while his shortcomings are diminished and improved upon. There's no question he can be a really good center in this league.